“Integrating International Students on Campus"
International students experience many transitions as they arrive into a new living and learning environment. These transitions bring with them challenges of adapting to the new environment, meeting students, communicating with teachers or professors, and learning about local cultural patterns and expectations, including academic expectations. The Institute for Cross-Cultural Teaching and Learning is pleased to announce a series of webinars to be held in March and April 2018. These webinars will be presented by specialists who have spent years working with and supporting international students in their intercultural development and transitions. These presentations will focus on practical steps taken by U.S. institutions to support and guide international students to more quickly and effectively integrate themselves into their new learning environment. Nancy E. Young kicks off this webinar series by framing the big picture of current practices to integrate international and domestic students in the U.S. Increasing integration of international and domestic students is a priority on many campuses. Based upon research Nancy conducted for the University of Minnesota, she provides a definition for integration in the international education context, articulates its importance, reviews five strategic approaches, and four common characteristics of current integration practices. Nancy E. Young is the author of “Seeking Best Practices to Integrate International and Domestic Students,” a research report commissioned by the University of Minnesota. She also wrote The Handbook of International Student Advising, a complete revision of Gary Althen’s seminal work. Nancy is a passionate and committed advocate for international education, a calling she heard as an undergrad. She has presented over 70 sessions and workshops at several professional associations including NAFSA. Nancy’s diverse experience in international education includes serving as the Associate Director of Student Services at NYU’s Office for International Students and Scholars, as well as working at Hendrix college, NJIT, and Clark College. Nancy holds two Master’s degrees, one with a Creative Writing emphasis from her studies with John A. Williams, the second in Intercultural Relations. Nancy was awarded an IEA Fulbright to Japan. Enhancing campus-wide outreach to new students (Pre-Departure Orientations, arrival programming and connection to resources through their studies). The impacts have been significant. The data and research projects have helped create awareness of international student experiences and direct campus priorities to improve international student experiences, including the integration of students. This work takes tenacity, building relationships, and harnessing the power of data. Consider how data can be used on your campus to draw attention to the student experience and to prioritize a plan of action. Identify partners on your own campus and data you need to collect to help change your campus story. Engage in conversation about challenges and successes in integrating international and domestic students. Barbara Kappler, Ph.D., is the Assistant Dean of International Student & Scholar Services in the Global Programs and Strategy Alliance. Barbara has 25 years of experience in intercultural communication, program management, teaching, and research. Barbara is also a member of the Graduate Faculty and serves on graduate committees in the department of with the College of Education and Human Development. Barbara is co-author of three guides for students, staff, and language instructors on “Maximizing Study Abroad,” as well as a book on communication styles. Her career at the University has been an exciting blend of program and leadership experiences, curriculum development, international communication research, teaching, and working with international students. She has taught 55 courses and served as one of the principal investigators on a recent research project examining the educational impact of international students on campus. She is currently co-editing with Inge Steglitz the NAFSA publication: Learning Across Cultures. Beth Isensee, M.A., is an Assistant Director at International Student and Scholar Services at the University of Minnesota. 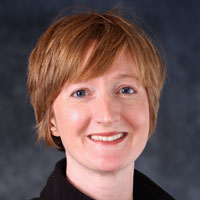 Beth’s work in international education focuses on valuing and integrating international students as a critical aspect to the University’s internationalizing the campus and curriculum effort. In her current role, Beth oversees the ISSS Intercultural Initiatives and Student Engagement team. This team supports faculty, staff, and students university-wide in intercultural competency development, student transitions to campus, and programs that engage students in leadership development within the campus community. Beth leads campus-wide committees that create strategies for improving international student experiences and integration. She is a member of the University's International Student Academic Enhancement Fee committee where she advises on strategic planning and coordination of international student success enhancement initiatives university-wide. 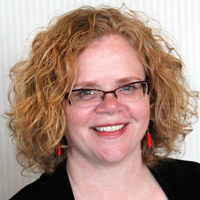 Beth also teaches a experiential internship course with the University of Minnesota’s Leadership Minor focusing on intercultural and leadership competency development in a workplace setting. She has worked within the field of International Education for 15 years and has an M.A. in Counseling and Student Personnel Psychology. To register for Webinar #1, go to http://bit.ly/2F61T7L. To register for Webinar #2, go to http://bit.ly/2HTDx31. The cost is $105 USD per webinar. Payment may be made by credit card on Eventbrite.com. Webinars will be recorded and made available for those who are unable to attend the “live” webinar presentations.